The trailer has been released amid much fanfare even as the model code of conduct is in place and has the potential to influence voters of Bengal that is witnessing an unprecedented 7-phase election. Kolkata: Bengal has become a state where bizarre is the new normal. Even as a finely crafted satire movie by a well-known filmmaker faces an unofficial ban across Kolkata due to its anti-government storyline, a propaganda movie based on Mamata Banerjee is being popularised with no objection. 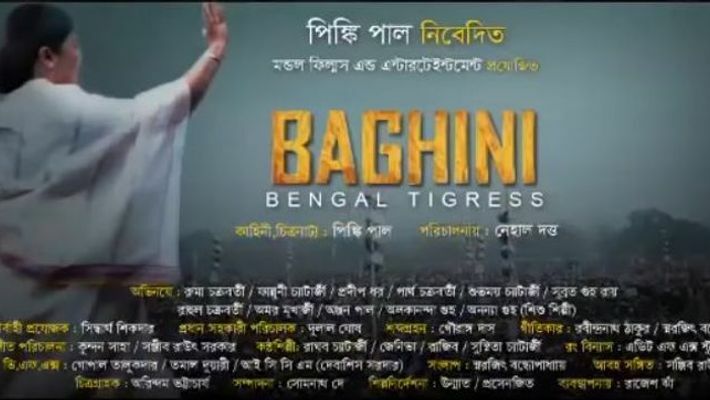 So what if the election is underway, the trailer of a film titled Baghini (Tigress) 'inspired by the life of Bengal chief minister' has been released without any hurdles. No question of morality or legality asked, no frowns expressed. This propaganda movie’s trailer has been given a red carpet welcome in Didi's Bengal. What is Baghini all about? Baghini is a movie portraying Mamata Banerjee in a larger than life image where she is compared with the likes of Rammohan Roy, a social reformer who abolished 'sati', a ritual where wives of the deceased were cremated alive along with their dead husbands — finding it tough to digest? Well, we have more for you. 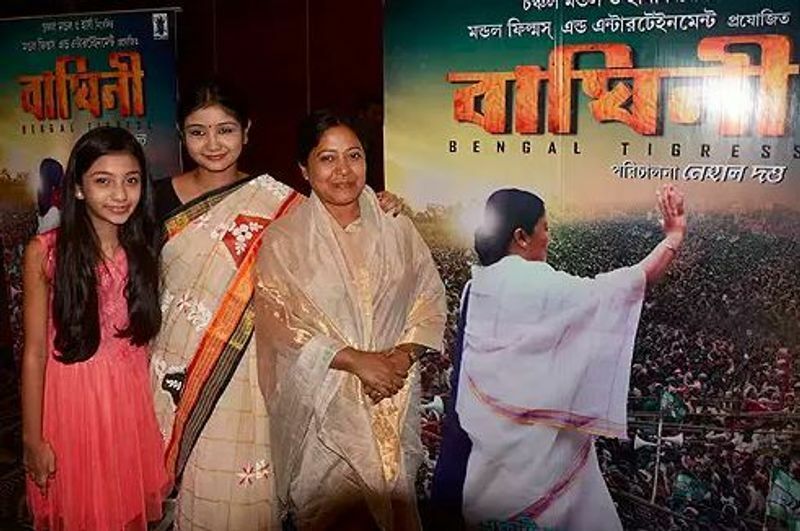 Though Nehal Dutta, the director of the movie claims it is not a biopic in the traditional sense of the term, he told news agency PTI, "We have sought to give a message that a woman can scale such a height by sheer determination, struggle and triumph over obstacles", about Mamata. Predictably, the story begins from the protagonist's surprise landslide victory in a south Kolkata constituency in 1984 to the point where she ended 34 years of Left rule in Bengal. Dutta may insist it is not a biopic, but the way Mamata is shown as the messiah of the poor, the leader of the oppressed and a politician with humanity serves a purpose that only a propaganda movie can fulfil. In one sequence, the character based on Mamata is seen instructing her cadres to send rice and dal to her supporters who are left with nothing after an alleged attack perpetrated by the left. The trailer has been released amid much fanfare even as the model code of conduct is in place. The trailer has the potential to influence voters of Bengal that is witnessing an unprecedented 7-phase election. But everyone is not as lucky as Nehal Dutta, the maker of Baghini. Just months back, Anik Dutta, a famous film director faced the state's wrath for doing a film Bhobishyoter bhoot that was perceived to be highly critical of the Mamata administration on multiple counts. 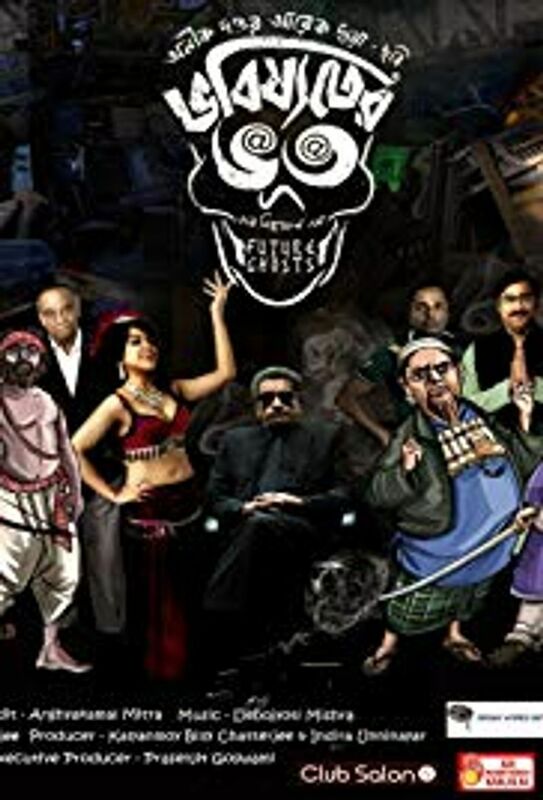 Anik Dutta’s film Bhobishyoter Bhoot is said to be a strong socio-political satire with a controversial plot. Be it the current situation in the state, the multi-crore scams, political hooliganism, frequent crimes against women or manipulating the local media, everything was portrayed in the two-hour satirical movie. And then, an unofficial blackout was imposed. The movie was pulled down from theatres within a day of its release and cops were seen in theatres. So much so the makers had to approach the highest court of the country to seek justice where Justices DY Chandrachud and Hemant Gupta said that no one could obstruct the exhibition or viewing of the film while coming down hard on the state government. The Supreme Court has fined the government of Bengal Rs 20 lakh for an unofficial ban on the movie. While Nehal Dutta is upbeat about the release of Baghini soon after the election is over and had no problem whatsoever for his trailer release, Anik Dutta had to breach a lot of hurdles. Even with a valid censor board certification, Anik realised it's not easy to criticise and be accepted in Bengal. According to Dutta, the specific targeting was due to the plot of the movie that was perceived as being anti-TMC and also because of him critiquing large cut-outs of Mamata Banerjee at the site of the Kolkata film festival, last year. Earlier speaking to MyNation, director Dutta said, “The film was released in as many as 44 theatres across Kolkata and was running successfully. It received a very good response on the first day. However, since the next morning, it has been removed citing no valid reasons. When we came to know about the fact, the crew members went to various multiplexes and halls and enquired about the issue. None of them came out with a proper explanation”. Welcome to Didi's Bengal, where the tagline of the government is 'Egiye Bangla' (Bangla is ahead).